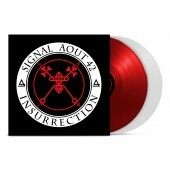 The legendary Belgian Electro-act Signal Aout 42 is renowned for more than hard beats, monotonous warbling bass and standard club-sounds: the music is an intense and atmospheric trip to the dark side of humanity. Massive analog sounds, hypnotic tribal rhythms, thudding EBM beats and the raw deep voice of Jacky Meurisse meld to epic tracks in an electronic sound spectacular that sounds like the sonic adaptation of a collaboration between H.P. Lovecraft and David Lynch. 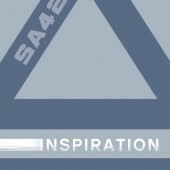 The creative approach to sound design, the soundtrackesque and overwhelming synthesizer pads are combined to monumental sonic constructs with memorable melodies and cunningly dosed beat infernos to result in music that easily surpasses the standard approaches common to the alternative club scene. There is an electronic life apart from the preset sounds that the scene seems to revel in, these days. It is almost ironic that a veteran of electronic music has to go to show the young creative heads of today how to turn an electronic album into an adventure again. 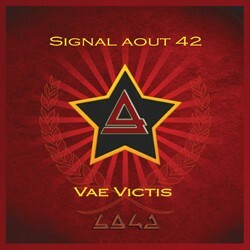 “Vae Victis” is released as a limited first edition including a bonus maxi CD with exclusive remixes.